The Martin-Breg hill in the Prozorje village around 3 km to the north of Dugo Selo is the site of the ruins of St. Martin’s church. The church is an exceptionally stratified building, whose presently visible core was erected during the latter half of the 15th century in the Late Gothic style, while the bell tower, for instance, was added only towards the end of the 17th century. Although St. Martin’s church was first mentioned as a building in 1334, indirect evidence of its existence dates from 1209, when King Andrew II gave the “Land of St. Martin” to the Knights Templar. When the Order of the Temple was abolished, this estate, too, became the property of another chivalric order, the Hospitallers. 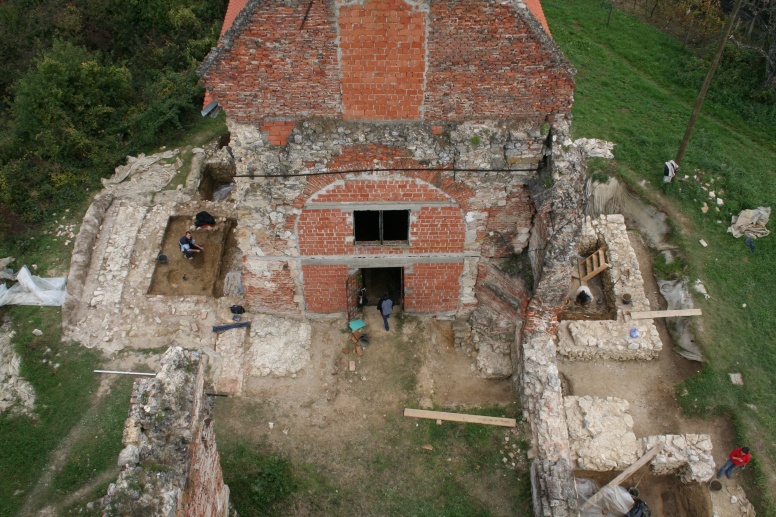 The Institute of Archaeology started archaeological excavations of the church in 2002. 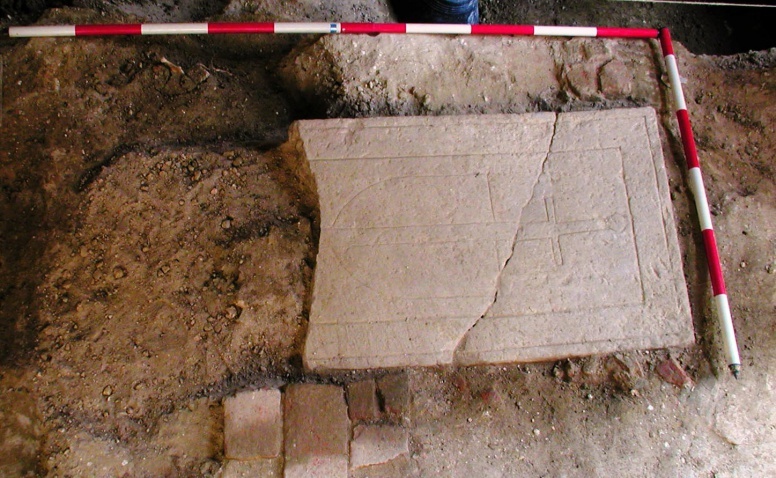 The investigations yielded traces of several phases of construction and additions to the church. The remains of two sacristies and two lateral chapels were discovered. It has been ascertained that the presently visible church building lies on older, likewise Gothic foundations of the church with buttresses around the polygonal sanctuary, which was probably built by the Hospitallers. 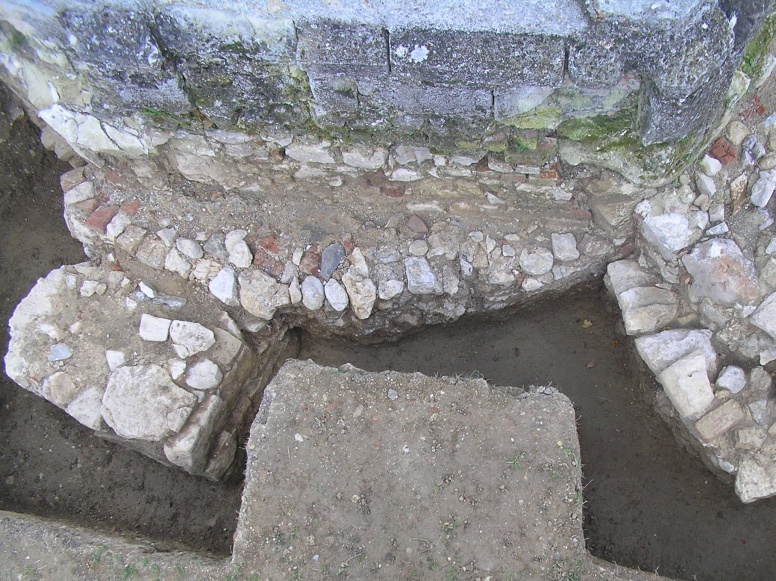 However, these foundations lie on still older foundations of a Romanesque, Templar apse. The investigations carried out to date still have not established beyond doubt whether there was a domus of the Templars at this position, while traces of the Hospitallers’ one were discovered abutting the church to the north. This latter domus burnt down presumably at the beginning or the middle of the 15th century. The georadar survey at certain parts of the plateau on which the church was built did not reveal the presence of another stone building near the church. A total of 238 graves and ossuaries were investigated so far. 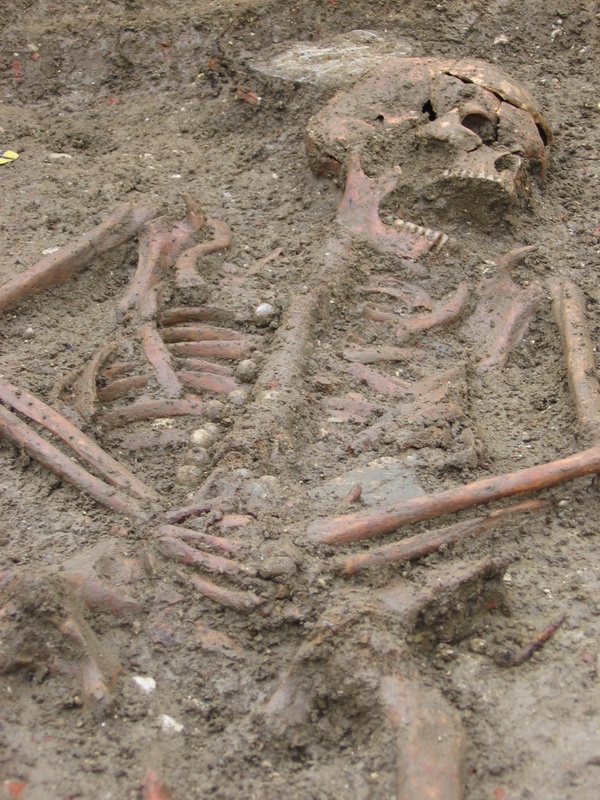 The anthropological analyses of the osteological assemblage offered a wealth of interesting information about the life of people living in this area during the Middle Ages and the Modern period. A number of small, movable finds also date from these times: these are mostly modern-period religious objects (medallions, crosses, rosaries…), items of jewellery and attire discovered in graves, coins minted between the 14th and 20th centuries and so on. The most eloquent testimony to the Templar presence is the find of a tombstone from the 13th/14th century, depicting a shield and sword in low relief. The clearest evidence of the existence of an older, pre-Templar church with a surrounding cemetery are the valuable, albeit rare finds from the backfill of several younger graves, for instance, S-loop rings. It seems that this is another site that provides evidence of the continuity of a sacred place from the times of the old Slavic faith to Christianity, and that here St. Martin “occupied” Perun’s position. We know today that the mythical interpretation of landscape by the Southern Slavs commonly contained three points, accommodating the main Slavic gods. 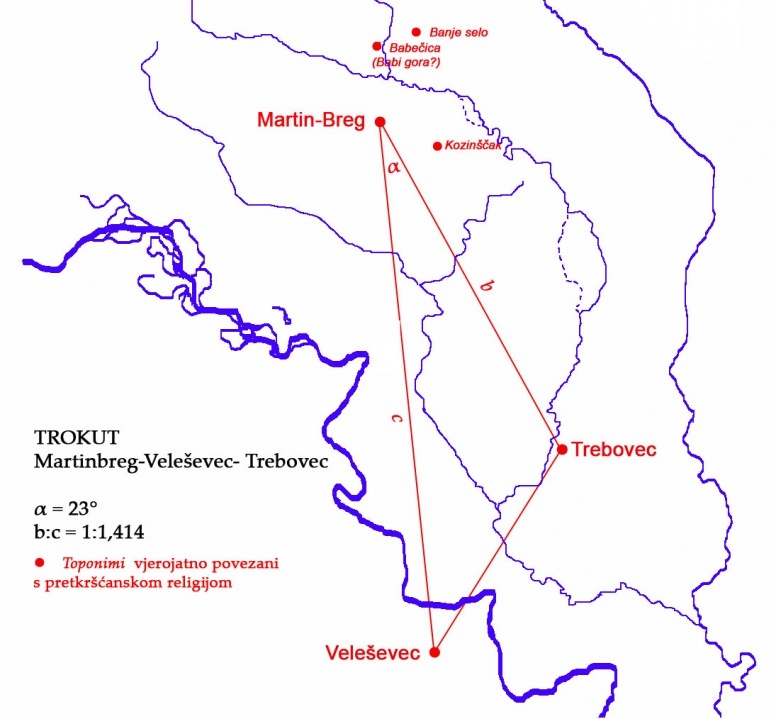 Perun’s adversary, Veles, thus found a place on the other side of a big water – in Veleševac, while the offerings to Perun’s wife, and Veles’s lover, Mokoš, were given in the area of the present-day village of Trebovec (*trěba = Proto-Slavic sacrifice). Jarilo, Perun’s son, also seems to have “resided” nearby – at the site of the mediaeval church of St. Brice.